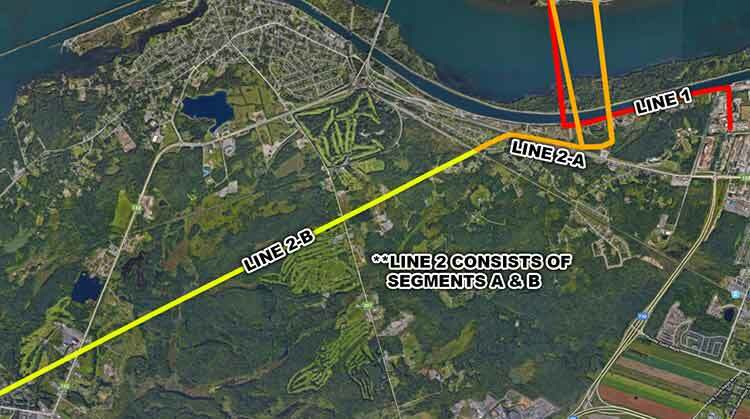 The Mohawk Council of Kahnawà:ke (MCK) wishes to inform Kahnawa’kehró:non that a Land Use and Dismantlement Agreement (the ‘Agreement’) with Hydro-Québec was signed yesterday for the continued use of Line 1 Lands, Line 2A, and the eventual dismantlement of Line 2 as a whole. The Agreement was signed by Grand Chief Joseph Tokwiro Norton and the President of Hydro-Québec TransÉnergie, Mr. Marc Boucher. “We are delighted to have reached this Agreement with our Mohawk partners and look forward to pursuing this excellent working relationship in future endeavors,” stated Marc Boucher, President of Hydro-Québec TransÉnergie.